Pakoras/ Fritters are always our family favorite with tea.I usually try different types of pakoras with veggies and they serve an easy ,quick fix snack though a bit oil consuming for sure.But serves the best on a chilly weather or on a rainy day.I had two bunches of parsley leaves and had to finish them.And for a change this made the flavorful parsley pakoras.They turned out real crisp and aromatic,check it out for your tea time snack!! -Wash and cut the parsley leaves in small pieces.Peel,wash and chop the onion in small size. - Make a batter using besan flour,red chilly powder,asafoetida,salt,onion ,parsley and water. -Heat oil in a pan or wok and wait till the oil turns hot. -Take a spoonful of batter and drop gently. -Then flip and turn each side till golden brown. -Remove on a paper towel and drain. -Serve hot with ketchup or chutney!! never tried it.. sounds interesting..
wow...parsley fritters looks so tempting...very nice idea to include parsley...thanks for sharing...URock!! So innovative and yummy snack! Very interesting..I like the idea! pakoras in parsley, a different one for me. Looks yum and crunchy evening snack. 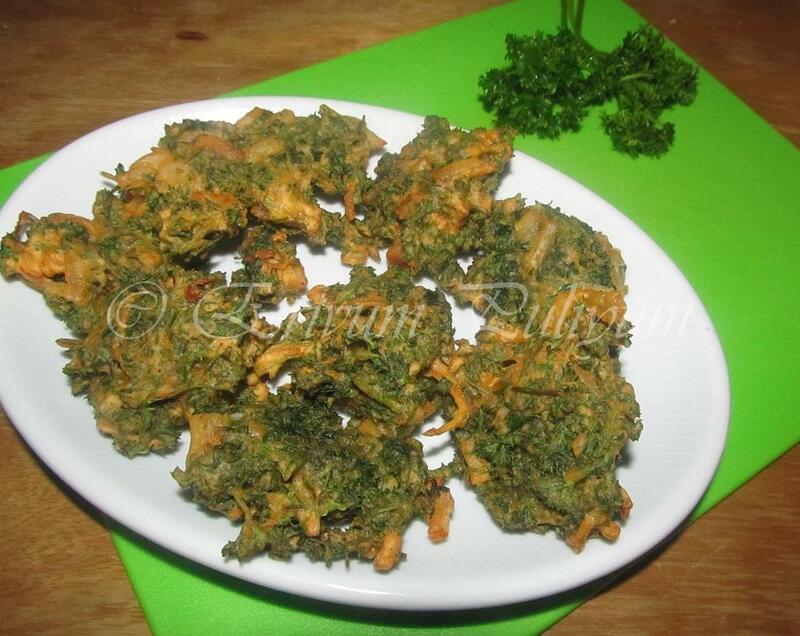 Thats very innovative idea of using parsley in indian fritters... Looks lovely and yummy!! 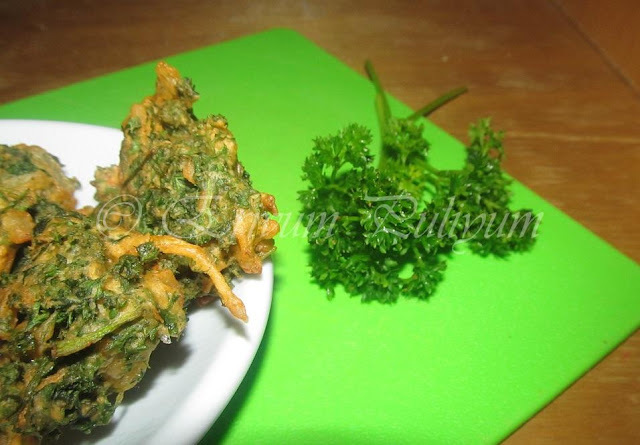 Parsley pakoras! - Nice one Julie. Never even thought of parsley in this way. Must make a wonderful snack. Delectable vadas. I am drooling here.....so inviting. what an innovative idea to use parsley, they look delicious. 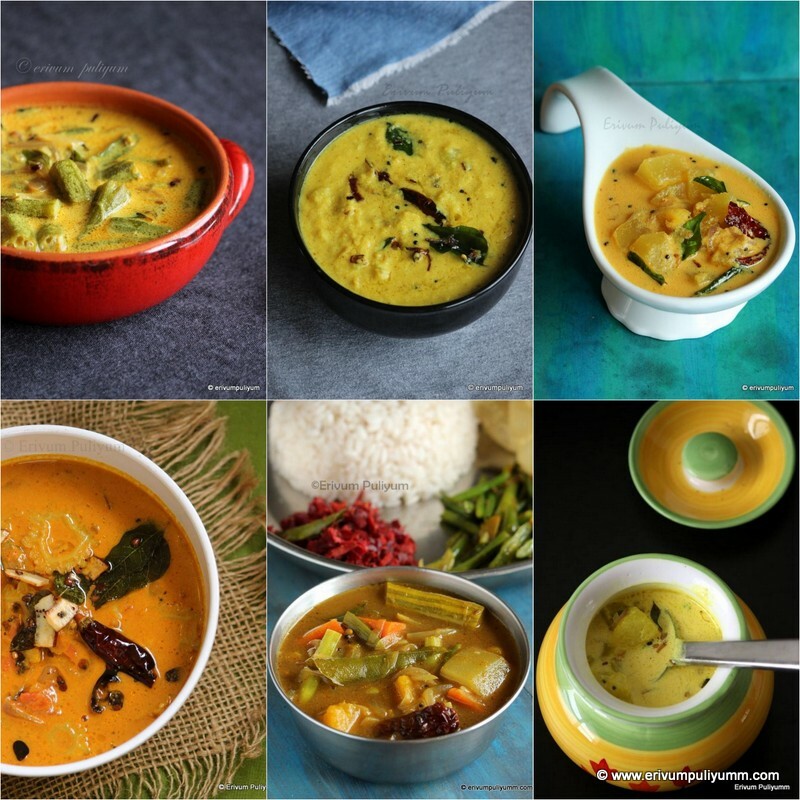 Btw check out your recipe included in kerala kitchen ebook, finally compiled! im drooling over your parsley bhajjas..plz send me some:)..excellent presentation!!!! 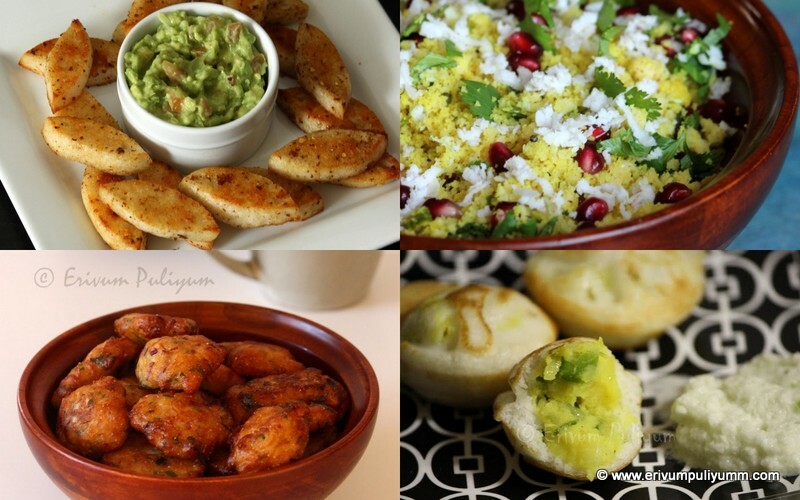 Unique recipe, pakoras looks so yummy. 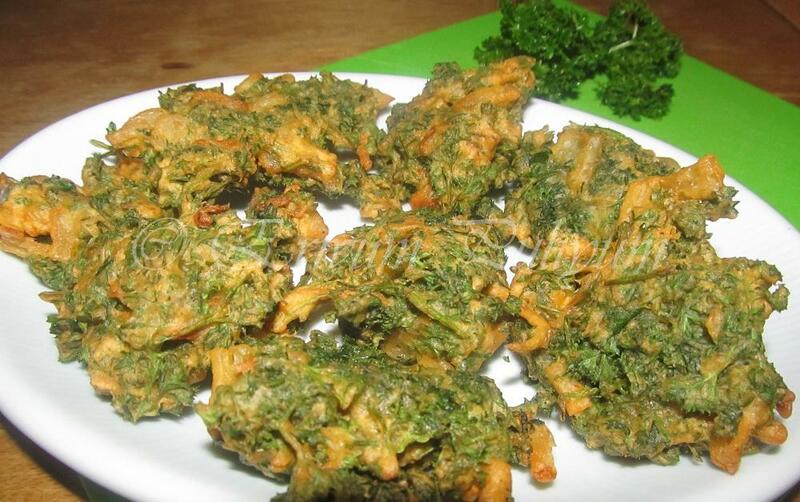 looks just like spinach pakoras...new use of parsley..lovely..
very nice idea of parsely pakoda. Yummy Pakoras! Nice twist using Parsley..
Super addictive pakoras, wish to have some. wow.. that's one healthy and crispy pakoras...loved it..
Parsely pakoda adipoli. 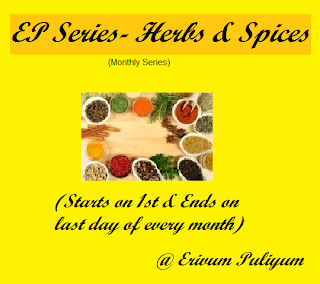 Eni parsley vangumbol try chayam. This is a new flavor for me. sometimes my parsley goes bad because I use it only for my daughter. 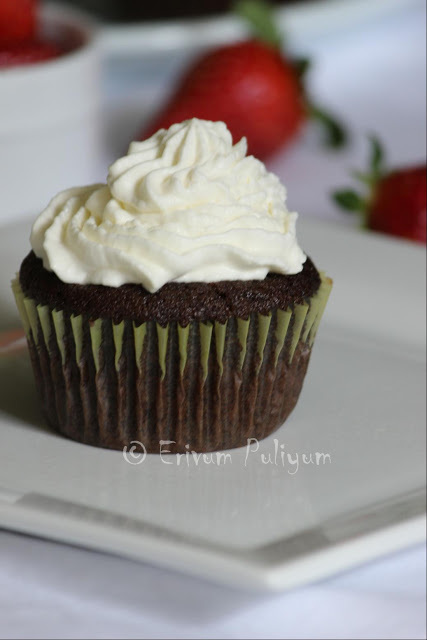 this will be a great recipe to try. Crispy & tasty looking pakoras!! !